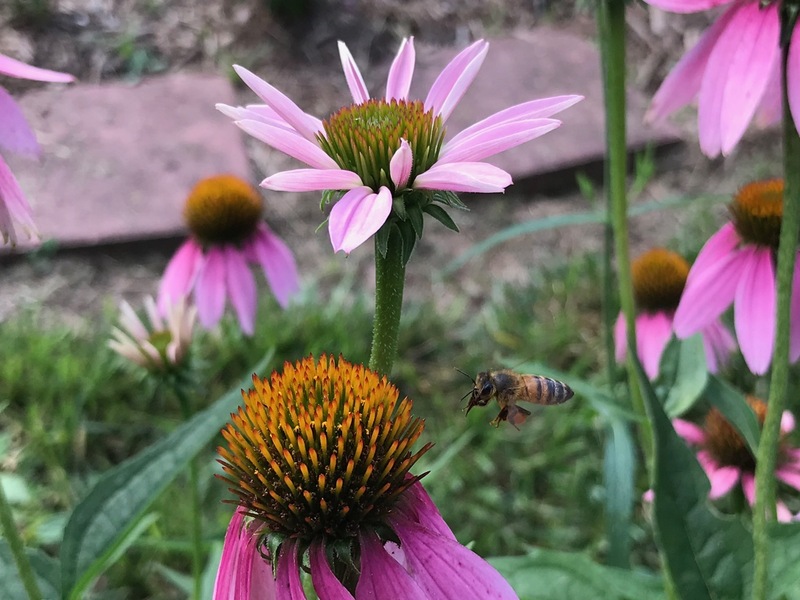 This entry was posted in garden and tagged bee, Echinacea purpurea (Purple Coneflower), National Pollinator Week, wordless wednesday on June 20, 2018 by pbmgarden. 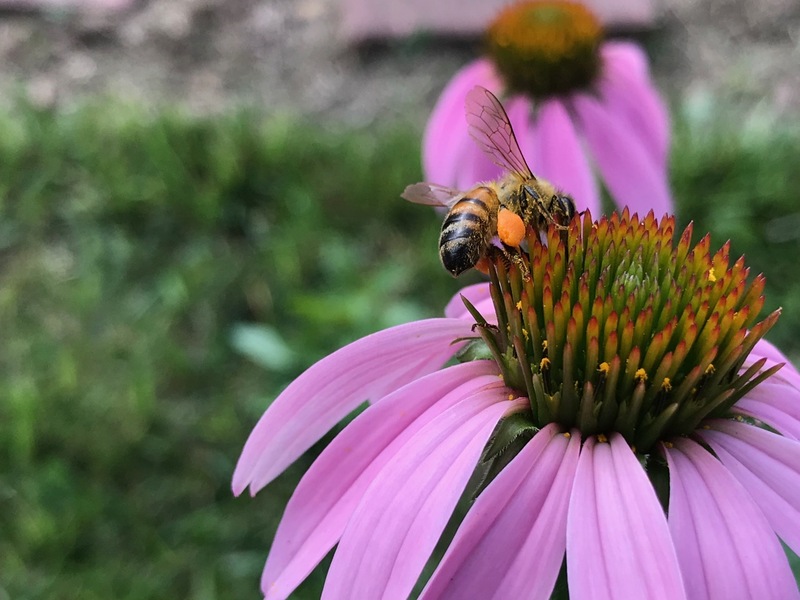 I photographed a pollinator on my Echinacea too this week. Echinacea is a big draw. Thanks Tina! You would probably know. 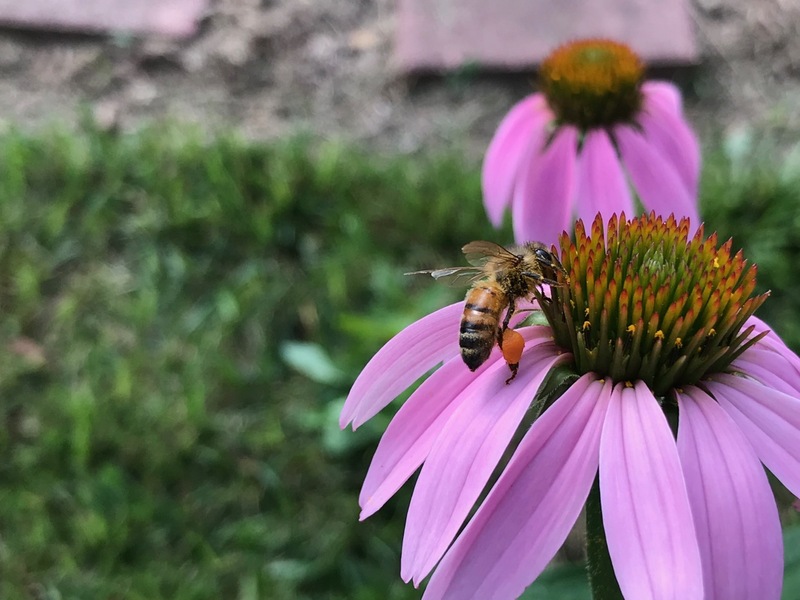 Is this Western Honey Bee (Apis mellifera)? I just submitted photos to iNaturalist and that’s what I suggested. Yes! Honeybees–there’s a hive somewhere nearby. I’m always amused by the pollen sacs. Nature is so clever! You’re right, a funny sight. Lots of Echinaceas today. I have some blooming here too. It’s a great addition to a garden. Enjoy! 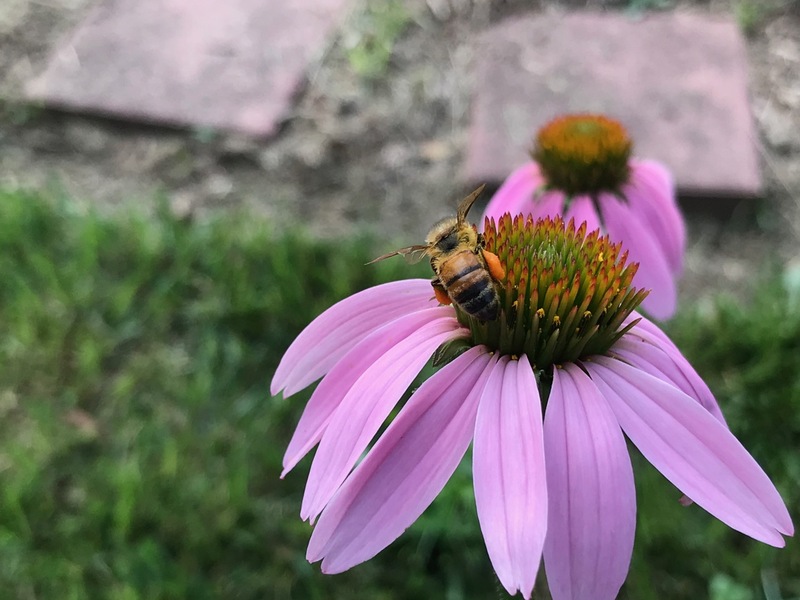 Thanks Beth, I bet you’re seeing lots of interesting pollinators in your garden. The echinacea are the strongest this year ever. Lovely photos! She carries a heavy load of pollen too. I love watching them work from flower to flower, fascinating.